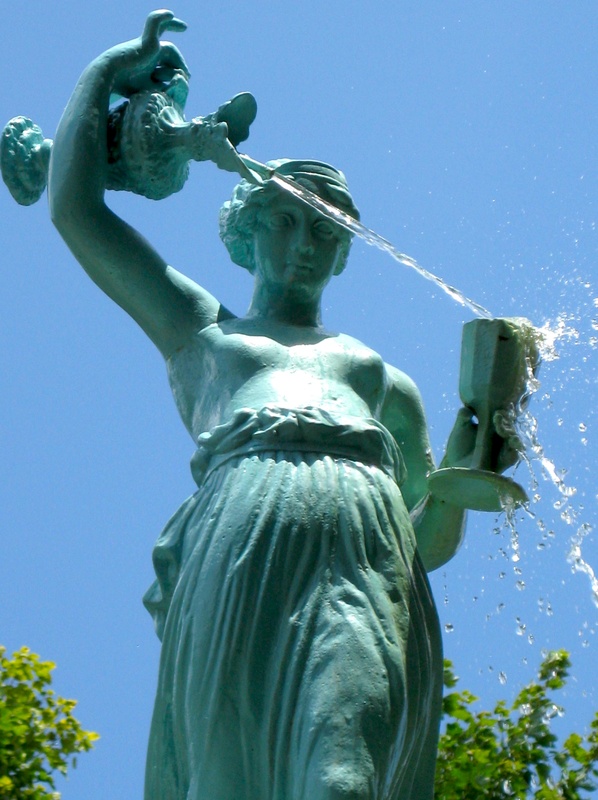 Would a small town be able to install a bare-breasted fountain in this day and age? This lovely lady can be found in the little town square in Chestertown, Maryland. Downtown Chestertown is a National Historic Landmark District. On a personal note, we like going to the farmer’s market (where my dad, a master beekeeper, sells honey at the end of the summer, and we visit Paul’s Shoes when it’s back-to-school time. Support small town America, folks!